The first three weeks of the Fellowship takes place at Schloss Wissen in Germany. It is located southeast of Weeze, in the district of Kleve, on the left bank of the Niers. The castle, the seat of the family of Loë, was built in the 14th century and is considered a preeminent aristocratic estate of the Lower Rhine. Read more about it here. 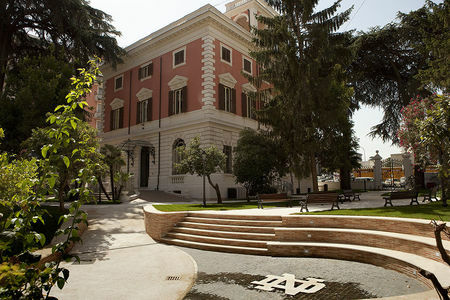 Accommodations in Rome will be the University of Notre Dame’s Global Gateway Villa, a beautiful and newly renovated facility near the Colosseum. Read more about it here. *Schedules and sites subject to change.